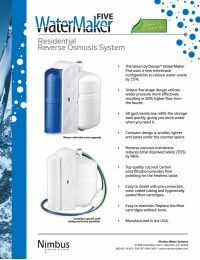 The WaterMaker Five Reverse Osmosis System produces high quality drinking water quickly and easily, while reducing water waste through a new membrane configuration. The WWM5-50 has a compact design that is smaller, lighter and saves under the counter space. NSF Certified. 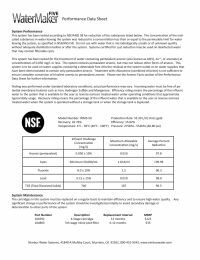 This filter has been independently tested and certified against NSF/ANSI Standard 58. 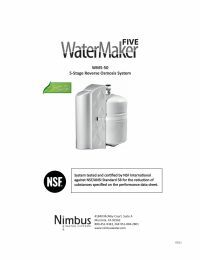 Made in the USA	Nimbus Watermaker Five 5-Stage Combo Kit has been proudly made in the USA.